UnderCover Politics: The Right Will Never Learn! The Right Will Never Learn! This past week an old interview with British right wing shock star journalist Milo Yiannopoulos surfaced where he states he was molested by a Catholic priest when he was a child. Immediately the fall out started, instead of branding him as a victim, which he is, the far right decided it was best to disavow and banish him. Apparently the hit came from a so called "Right Wing" #nevertrump organization and of course because the right is full of dinosaurs, has beens, never were and "Ear Virgins" they were told to dance, so they danced. He lost his book deal and was banished from the far right wing joke that is CPAC, who hasn't been relevant since pretty much the 1980 election, like the California Republican Assembly, who's only claim to fame is that Ronald Reagan called them the “The Conscience of the Republican Party” over 30 years ago. Because of the economy we have been having these past 8 years under Obama I was forced to return to college to "reinvent" myself at age 44. I outed myself as a Republican last semester because I pretty much was born with a big mouth and a touch of self-hate. I've met fellow classmates who despise the right, but they love Milo and his message. Many believe this was the opportunity the far right wanted to get rid of the Gay, half Jew superstar which is too straight forward and brash from their little delicate Snowflake ears. What the far right refuses to admit it to themselves is the fact their political branch is dying a fast death. If it wasn't we would have Hillary Clinton as president today because they would have nominated Ted Cruz instead of Donald Trump. If anything the past 8 years have taught us is that politeness and holding back won't get us anywhere. 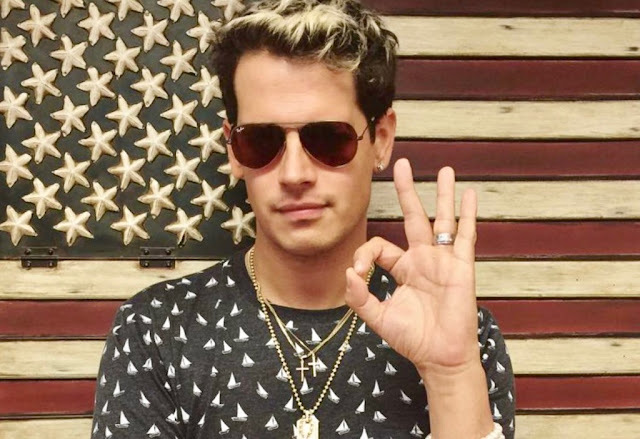 Like him or not Milo is a great ambassador for our cause, sometimes messengers aren't perfect, but who else can bring our ideas to the new generations? Dennis Prager? Sometimes truth smells and life isn't a day at Disneyland!